Hajs is Modern Multi-Purpose Landing Page based on Bootstrap 4 framework. It is perect as a product / app and any kind of marketing website. It includes 6 diffrent concepts, 6 color schemes and 3 diffrent styles so it is ready to use package for everyone. Thanks to responsive design it is going to work great on any device! 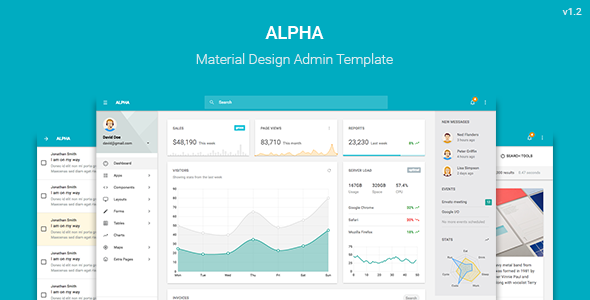 The Alpha UI Framework is a premium Web Application Admin Dashboard built on top of MaterializeCSS Framework. 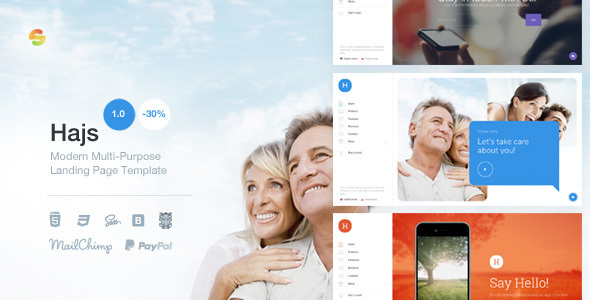 It was created to be the most functional, clean and well designed template for any types of backend applications. We have carefully designed all common elements.